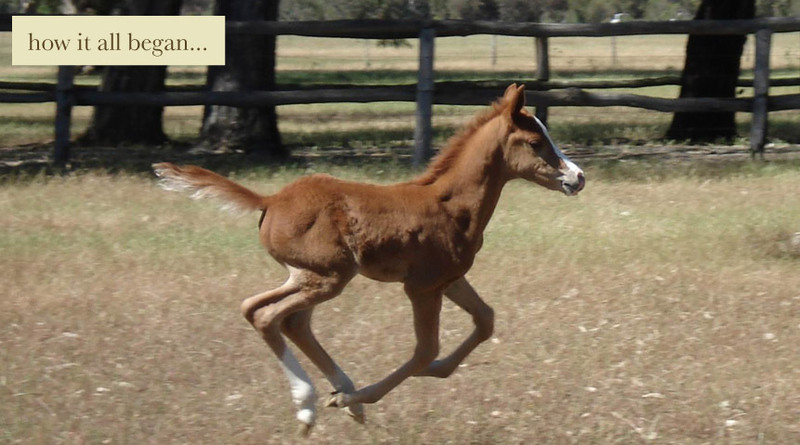 We are a small stud based in the Great Southern region of Western Australia. 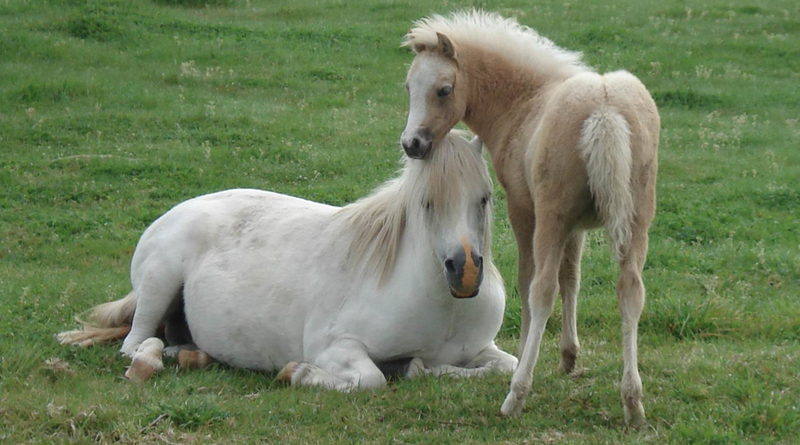 We aim to produce versatile Arabians and Welsh Mountain ponies with substance, based on old traditional bloodlines. My love of old crabbet and colonial arabians began over 30 years ago when I met the colonial bred purebred stallion Zanzibar (Razaz x Pomona). As I child I was lucky enough to regularly ride this wonderful stallion and his offspring around the coast hills west of Denmark, WA. As a young teen we took Zanzibar and his daughter to compete at the Bridgetown 80km endurance ride. Despite some people questioning a child riding an arab stallion at such an event (yes- rules were different back then!) we completed the ride without problem. Doug (72) and I (13) were the oldest and youngest riders to complete the event (and the first endurance ride for both of us). It was also the first time Zanzibar had left his home since his arrival in Western Australia 10 years before, and even with his daughter in season during the ride, he proved how quiet and versatile the breed can be. The following week we took him to the Albany Agricultural Show. During his individual workout in the ridden stallion class, an ambulance went past him with sirens and lights (another first for him) but testament to his temperament, he didn’t bat an eye. My own pony as a child was a gelding named Goldie by Zanzibar out of a brumby mare who was my riding companion and best friend for 26 years. We also had an elegant crabbet bred mare Tristram Shandy (Greylight x Kanun). It’s no surprise that as an adult when I had the opportunity, I couldn’t look past these old types as my riding horses although I was finding that they were getting harder to find by the 1990s. I purchased Fawley Desert Fox (Kabiram x Yamegi Abra) and Yaldon Shaadara (Yaldon ibn Heirloom x Yaldon Shaariah) as youngsters and enjoyed riding them for pleasure. When Shaadara reached 14, remembering how hard it was to find the big functional arabians, I thought I’d better search for a suitor for her to produce the next generation. I settled on Norans Mister Max . He had some of the same old bloodlines as Zanzibar and the same laid back personality which I couldn’t pass up. Ffarburn Hari’s Gold was born (named after my old pony) and now broken in, is proving to have the same good looks and fabulous temperament. After making the tree change move from Perth to Albany I finally had the chance to pursue my dream of trying to preserve the old lines. I was able to buy Shaadara’s full sister plus a Hi Drift mare from a family locally. I am also extremely grateful to the late Marion Don who allowed me to purchase the last two precious old ladies from her Yaldon Stud. After sending them off to a big beautiful 100% crabbet stallion, these grand old ladies (despite their advancing years and lack of foals) are continuing their wonderful lines (including Sindh, Fabulous and Sharrak) and producing beautiful, functional arabians. My old Yaldon mare collection has grown again and I now have 8 of these ageing beautys. I have also had the opportunity to “collect” a couple of other mares that represent the earlier crabbet lines in WA and finally a much younger addition all the way from Tasmania that also happens to be 100% crabbet with a big future ahead of her. Lets hope the old girls can produce a few more fillies before their retirement! My introduction to Welsh Mountain Ponies was far more recent. A chance visit to a Judaroo Pony Stud open day in the mid `90s started it all. In the stables just returned from being leased out as a show hack pony was the most beautiful pony mare I had even seen. Her name was Judaroo Luckelle (Pendock Miracle x Judaroo Lisa) and couldn’t believe my luck when the Buttfield family allowed me to lease her and then later purchase her after becoming hooked on the breed. Not satisfied with just one, I managed to buy another mare from the Judaroo “L” line called Judaroo Lenita (Chawton Punch x Judaroo Lolitta) who has produced us lovely typey ponies. When mentioning to the Buttfields about a trip to Melbourne, they said I couldn’t go there without visiting the late Lady Creswick at Nattai Stud. With no intention of purchasing anything, I fell in love with a young colt who happened to be the son of the mare that really caught my eye on the way into the property. So Nattai Senig (Coed Coch Bari x Nattai Summertime) was purchased and made the big trip over to the West. In the mean time Lenita had been sent to Wendy MacDonald’s (Wendamar Stud) magnificent stallion Pendock Miracle to try to reproduce our wonderful Luckelle. 2 colts resulted who became fabulous childrens ponies before Miracle passed away. Unfortunately Luckelle was unable to breed but taught a number of local children to ride. We retired her from the show ring when she won the Supreme Purebred in Hand Exhibit (all sections) at the WA All Welsh Show under judges from Wales, and she spent her later years as Senigs companion. Both Lenita and Senig have gone on to produce more great ponies but as a small stud we have only produced 1-2 every couple of years. I have decided to wind down the pony side of the stud to focus on continuing the old arab lines. I hope the last of my ponies will find wonderful homes and provide the basis of someone elses dreams.